Ducktypen | Elements Interactive — We build applications! 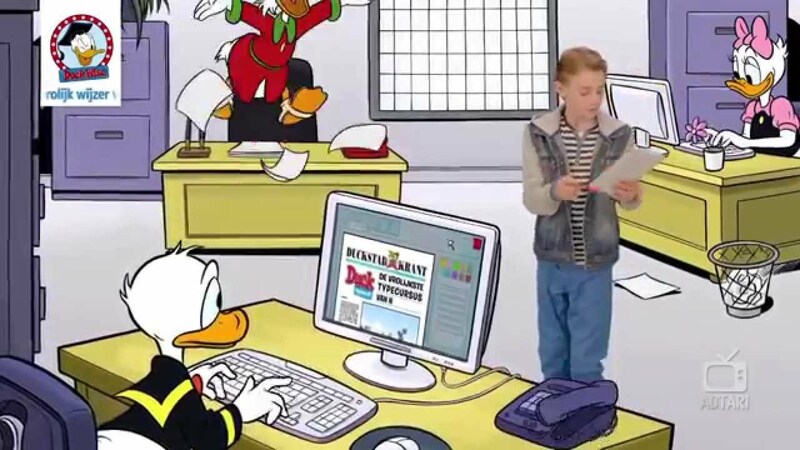 DuckTypen (“Duck Typing”), the most cheerful online touch typing course of the Netherlands, helps children of seven years and older to learn how to type on a keyboard. This is done by playing games with popular characters like Donald Duck in Disney’s world of Duckburg. Upon completing the 30 lessons of the course children receive a certificate. A free trial lesson is also available. Elements works on the Python backend of the game in close collaboration with publisher Sanoma. In additional to the backend, Elements also created the responsive marketing website which provides information for children, parents and schools about DuckTypen and an FAQ section. The website features a responsive design, parallax scrolling and support for high dpi (“retina”) graphics utilizing HTML5. Elements also worked on the Polish version of the course, which was launched in April 2015. DuckTypen can be visited at https://www.ducktypen.nl. The Polish version of the course can be found at https://www.donaldreporter.pl.